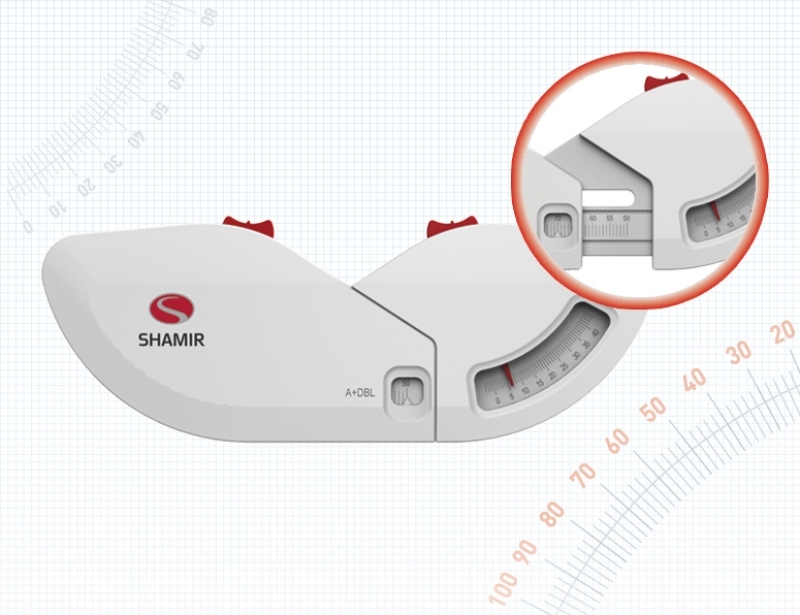 Shamir Panorameter III is ergonomically designed for easy manual measuring and operation. It measures face panoramic form angle on a scale from 0º to 40º, and pantoscopic tilt with easy-to-read 1° intervals for the highest accuracy. Its patented user-friendly design secures it on the eyeglass lens, compliant with a natural head and frame position. The kit includes the Panorameter, a Pantometer, an advanced PD ruler and special marking pen packed in protective box. The Shamir Panorameter™ III is available to order via Shamir's RCPV® Rewards Program. CLICK HERE for more info.